An accepted adage of less is more may be perfect for people who don’t want to be overwhelmed with actual information, but when it comes to tech conferences the opposite applies. Attendees to these events want to leave with their heads full of data and armed with the insights that will make a difference in their professions. 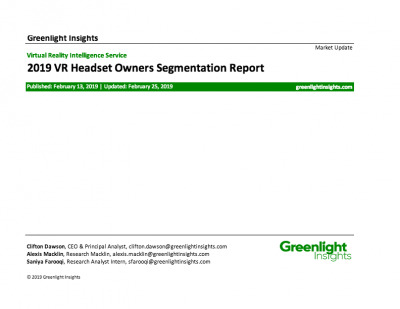 Not every conference succeeds in providing all of these takeaways, but Greenlight Insights’ annual Virtual Reality Strategy Conference in San Francisco made certain that it ticked all the boxes. 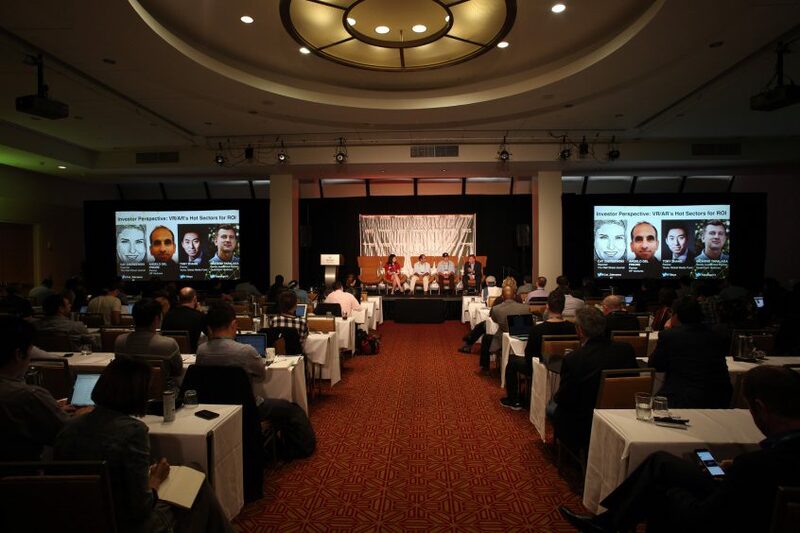 Over 450 attendees from around the globe were treated to two days of thought-provoking sessions and networking with some of the big hitters in the virtual and augmented reality space, all of whom sparked discussions that will resonate in the months to come. Now in its second year, VRS 2017 was filled with highlights too numerous to write about in just one article. 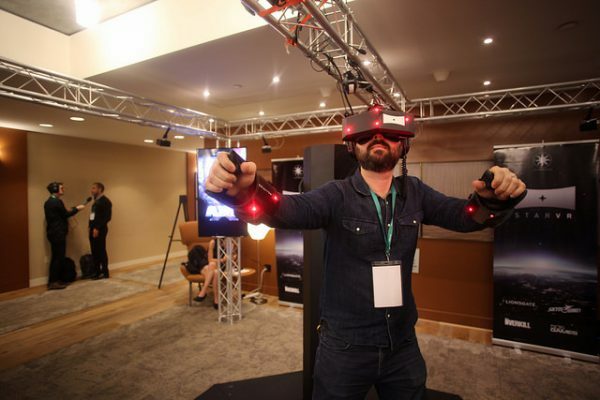 Irrespective of the fact that the event encompassed three VR/AR-themed conferences in one space (including a stand-alone VR Arcade Summit), VRS attendees got the chance to not only listen to what the industry insiders had to say, but also interact with some of the innovative VR products that will take the sector to new levels. With that in mind, there were some familiar subjects that permeated almost every session. Consumers vs. enterprise use, adoption enablers, return on investment, corporate and venture investing, content, distribution, monetization and analytics, immersive training, the mythical killer app … all of these got the time and attention you would expect from a conference that brought so many thought leaders together in one place. 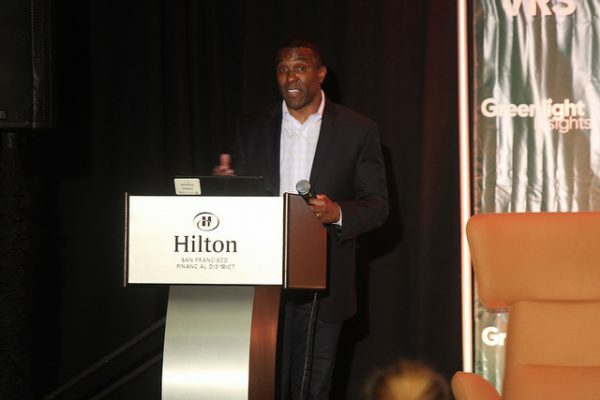 Greenlight Insights CEO Clifton Dawson opens Virtual Reality Strategy Conference on Oct. 25. Irrespective of the fact that virtual reality is, according to Gartner Research, out of the Trough of Disillusionment and firmly in the Plateau of Productivity, VRS 2017 assembled a stellar lineup of industry leaders to debate the State of the Industry. Greenlight Insights CEO Clifton Dawson kicked off VRS 2017 with a keynote that noted the progress made in the last year—20 million consumers now have a device that delivers an immersive experience, for example—and drew attention to the new expectations that the industry has to fulfill. 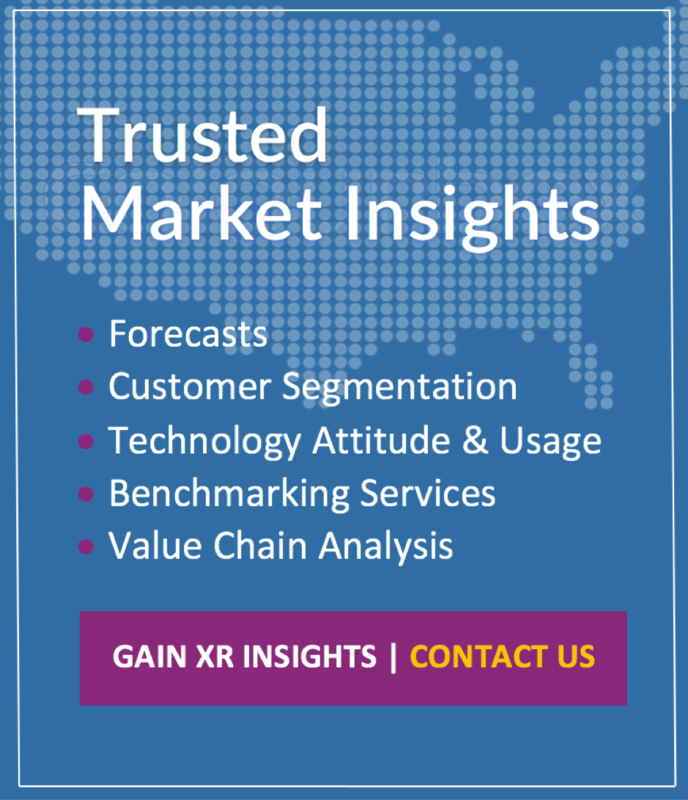 Of particular note is the fact that it is enterprises and not consumers that are reportedly driving the VR conversations, a scenario that was underlined by a series of panel discussions with executives from companies such as Accenture, Dell, IBM, BMW, Amazon, HP and HTC, among others. If this statement sounds as if is taken from pop culture, you would be right. On March 30 2018, Steven Spielberg’s adaptation of Ernest Cline’s Ready Player One will be released, a cinematic event that is expected to peak interest in virtual reality, according to Steiber. In fact, Steiber predicted that in the same way that Star Wars inspired an entire generation of 3D developers (including Parisi, apparently) to try and replicate the image of Princess Leia on a table-top, RPO will be cited as the reason why people got into virtual reality. Moving away from the ongoing influence of science fiction, Mary Hamilton, managing director of Accenture Labs, said the future of virtual reality will rely on the twin pillars of consumer awareness and enterprise adoption. Hamilton cited an Accenture experiment that used Legos as an immersive training tool, with the aim being to prove that the learning curve was easier in virtual or augmented reality. 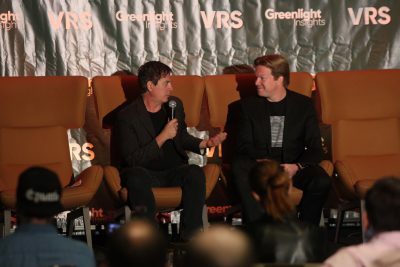 Unity's Tony Parisi (left) and HTC Vive's Rikard Steiber discuss the future of VR/AR at VRS on Oct. 25. Hamilton's immersive experiences viewpoint was a recurring theme throughout the two-day conference. One caveat was that there was a consensus among some panel members that the industry was still very much in a “chicken and egg” mindset when it came to monetization and future investment. Niantic’s Pokemon Go was constantly trotted out by both speakers and attendees as an experience that could (in theory) be considered as an example of the mythical killer app. The problem that brands faced related less to individual apps and more than convincing the average person to try virtual reality was seen as an uphill struggle. One element that got an almost universal agreement was that enterprise use cases would outnumber consumer adoption in the near future. Again, this is a discussion for another day but it is not a stretch to say that the majority of people will try virtual reality away from the comfort of their own home. The ongoing problem for the industry is not that the technology is still somewhat limited for brands—a concern that Dell’s director of Workstation Virtualization Gary Radburn highlighted in his presentation on Day Two—but that enterprise investment is still in its very early stages. According to Accenture’s Jason Welsh, the next step will be to encourage enterprises to take a leap of faith. The need for guidance as part of a potential mass market was put forward by several panel members, including the opening session between Parisi and Steiber – a discussion that StoryTech Immersive’s CEO (and Day One MC) Brian Seth Hurst said he wanted to take on tour. And while enterprise use cases are deemed to be the way forward, the responsibility for getting something started may actually derive from the increasing number of out-of-home experiences that combine both playability and the immersive story-telling that has been perfected by the film industry for over 100 years. In other words, location, location, location. StarVR and Luckyhammers demoed APE-X for the first time at VRS 2017. As we noted above, VRS 2017 included a stand-alone VR Arcade Summit. A separate blog to come will cover this summit in more detail. The debut appearance of APE-X—a location-based virtual reality experience (LBVRE) that puts the user into the body of a cybernetic-enhanced (and weaponized, naturally) ape for a full seven minutes—was a constant draw. LBVRE was a consistent theme at VRS 2017 with a number of panels on both days dedicated to how virtual reality experiences could become destination attractions. When you think about how many people still go to the movie theater to watch a blockbuster film on the big screen and it is not hard to envisage a future where initial interaction with immersive experiences is out-of-home. Putting the joy of robot-smashing aside, the LBVRE market is widely expected to be a conduit to more consumer adoption, with VR Arcades completing a consumer-focused cycle that arguably began with the explosion of home console use that made video games the first immersive experiences that didn’t require people to leave the house. In an interview with Greenlight, LuckyHammers CEO Marc-Antoine Pinard said the virtual reality’s future will depend on how many people actually experience the tech for themselves … even more so if they think that virtual reality is just games. A conference that is meaningful fills an industry need and encourages attendees to think critically about applying virtual and augmented reality to solve business challenges. 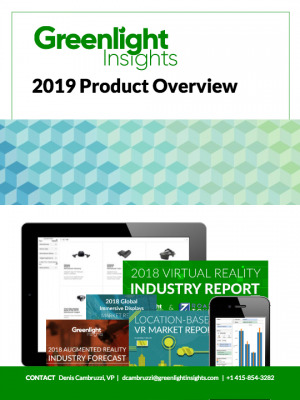 That is what Greenlight Insights set out to do with VRS 2017, and we think we delivered. Greenlight Insights is already planning VRS 2018. Click here for more information or alternatively let us know what you would like to see more of in 12 months time. We can’t promise the return of Big Mike, but there will something just as awesome!